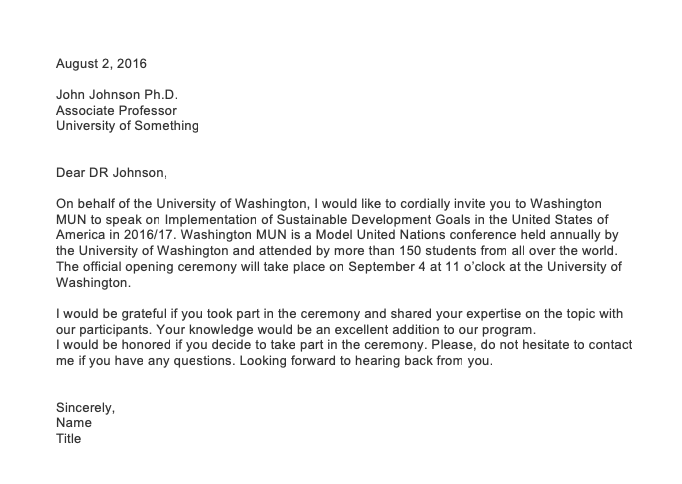 Example Letter Of Invitation For Guest Speaker is very important for organizations. Organizations are always a great trend in any business or any field. And the main attention gathers in the organizations is a guest speaker, especially the speaker who speaks for free. The process for funding a non-profit speaker can be sponsorship. This will make a person attend your organization as a speaker. There are a variety of free speakers sources to get approach. To find the right person for the job, event or any organizer you have to look for the criteria and proceed. When inviting a speaker it is also important to give significance to them and express how their presence will affect the event. It should be clear, respectful, brief and informative invitation letter for a guest speaker in school. Write your letter boldly. It should be in heavy and high-quality paper with a proper envelope on it. it should be considered as professional with its first impression only. Also, it should follow a standard business format. It is better to use company letterhead for your letter. write it against the left margin of the letter. write the date, recipient’s name, address, company, title etc. Then open your letter with a good salutation. In the first paragraph of the body, use clear and concise language and make this as an actual invitation. Tell them directly that you are invited for speaking at the company’s conference or an event. For this, you also have to address the time, venue and them of your function. Make sure to list and describe the objectives of your function and also explain how you want that their speech will benefit the participants present there. Also, adore them for their time. In the final paragraph, you can provide each detail to him like you can specify whether your organization will pay for his travel, meal or lodge. Also, invite them to your special dinner or lunch according to the organization. In the end, conclude your letter with your contact information for any query or response. Also thanks to them for their consideration and give your name and signature below. You can write your email or letter starting by considering that person with their name and address, like Dear Mr. Johns… You can also mention the company’s name below and mention that person. Start writing the main body of your letter in which you can directly send the invitation and below you can mention the name and signature of yours. These letters form a very basic and important invitation. This will professionally invite the person as a guest speaker to your event or organization and will make them feel honored. 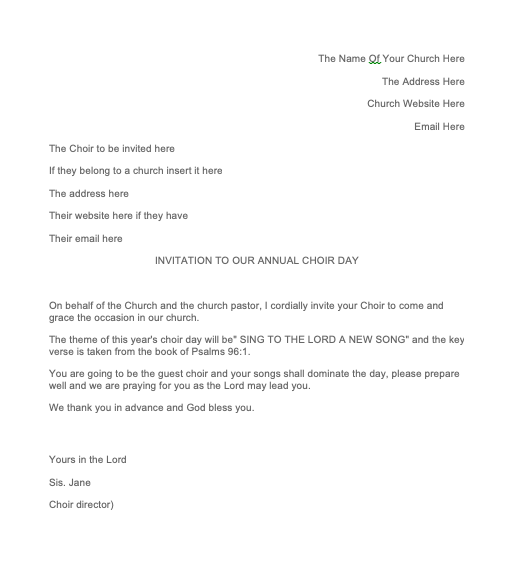 You can directly download the samples and get the format and complete formation of the letter and can create it by yourself making it impressive invitation.